Can Artificial Intelligence improve the process of video compression? Attend this BEIT session and find out. With digital content sources and resolutions expanding regularly, we’re going to need Artificial Intelligence to help us wrangle the data. In the more than two decades broadcasters have been compressing digital video, there have been many improvements to the technology. Now, Artificial Intelligence (AI) is pointing the way toward ever more effective methods of squeezing the growing resolutions for broadcast and OTT content delivery into increasingly more efficient data payloads. 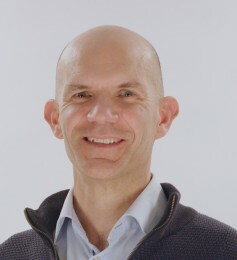 Jean-Louis Diascorn, senior product manager at Harmonic, and will present his paper, “AI Technology is Changing the Future of Video Compression,” on Monday, April 8th at 10:40AM session in room N256, as part of the Broadcast Engineering and Information Technology (BEIT) conference. Diascorn is one of the leaders in this field, having worked on (among any other projects) some of the first SD and HD MPEG-2 encoders ever developed. Compression has always been imherent to digital signal distribution. Click to enlarge. But as usual, with these solutions came problems. So the thrust of Diascorn’s presentation will be how AI can be invoked to help solve some of these challenges as we move forward. When it comes to video compression, the bar for AI to surmount is maintaining video quality while reducing the amount of data required to create it. That’s why we’ll always need the human element at some point in the compression chain. During the presentation, he’ll be explaining that this is not going to remove the need for trained, professional intervention, because just like every improvement in technology over the centuries we will still need engineers who understand the goals of the communication industry and can give them meaning. But codec algorithm design is not just about picture quality. As Diascorn will be discussing, since it impacts the density of the solution and the latency for live processing, we will again be looking to machine learning for improvements. For example, by choosing the proper implementation and scope, the right machine learning algorithm can reduce the requirements placed on CPU processing. 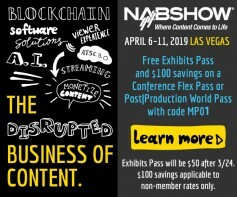 The implementation of AI to advance the science, and art, of video compression is a topic that will impact all facets of the digital content creation industry, so it can potentially impact every attendee of NAB 2019. So putting Monday’s “AI Technology is Changing the Future of Video Compression” session of the BEIT conference onto your game plan could be a valuable investment of your time at the conference. After all, Jean-Louis Diascorn’s paper concludes with the hope that within the next 10 years we may get a new standard. That’s something we should all be getting ready for. Want to know more about this year's BEIT Conference? Click the link here to see the official schedule along with a snippet of information about each presentation. Would a free exhibit pass help? Click this link or image below and enter the code MP01 at the correct prompt. Here are some additional articles about Broadcast Engineering and Information Technology (BEIT) sessions taking place at NAB 2019 in which you may be interested. Need a free exhibit hall pass? Click on this link and enter MP01 when requested.